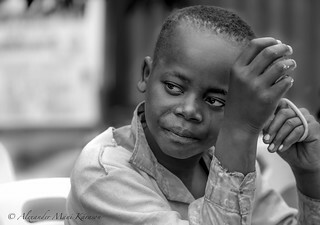 He his a young boy living on the streets of Gweru, a city in Zimbabwe, Africa. Although he lives on he streets, he gets the opportunity, tvice a week, to come to the so-called "Drop-in-Centre". Volunteers from all over the world meet him and others there, cook lunch for them, teach them and play with them. I was fortunate enough to be able to meet him and be a part of his day for a couple of weeks.